Since time immemorial man has always tried to capture meaningful moments. What is the purpose and beauty of photography if not immortalizing everything around us: people, places, cultures? Such pursuit takes, of course, takes skill, courage, and inspiration. Without further introduction, let’s dive into 10 challenging photography themes to take up and amaze those who witness. Nature has always been a great source of inspiration for artists of all kinds. Whether you choose to capture its splendor, or on the contrary, its wrath, it will require patience and a bit of nerve too. Consider photographing a lion or a grizzly bear. That would be a challenge in itself, wouldn’t it? When it comes to spectacular wildlife imagery, there are many notable examples to take a look at. I wish to refer, of course, to the work of renowned photographers like Joel Sartore or Jim Richardson. What I also recommend is keeping an eye on the winners of National Geographic Photo Contests. The photographs of Nicole Cambre, Prashant Meswani, Henrick Nilsson, Zik Teo, and Archna Singh are fantastic. An abstract photograph is also called non-objective or conceptual. It aims at showcasing a visual image void of the object world, created through experimentation. This is a challenging photo theme especially if you use additional photographic equipment, special processes, or materials. The beauty of photographing abstracts is that it stimulates your creativity and allows complete freedom of expression. Architectural photography can shed light on the essence of human nature, capturing both frailty and grandeur. Every building leaves something behind for future generations. Every building has a story to tell or at least signs to interpret. Why not capture that story on film? For more inspiration, I recommend looking at Alison McCauley’s photographic project esta cayendo, taken in the Old and Central Havana. She photographed almost a hundred different homes to see what lives inside the “crumbling grandeur of Havana’s buildings”. Contrariwise, if you want to add more color to your project theme, I am sure you will find these beautiful examples of urban photography an excellent inspiration source. This photography theme can impact you on so many levels. It is, though, one of my favorites for the interpersonal experience that if offers. Portraiture can stir many emotions in both the photographer and the viewer. However, nothing competes with portraying the expression of a “lost angel”, or even documenting a day in his or her life. For more inspiration, it is impossible not to mention one of the projects of one of my favorite photographers out there. Lee Jeffries’s “Lost Angels” brings together emotional and powerful portraits of homeless people from around the world. Shooting everyday objects in a creative way is no easy task. What makes an object you see or use on a regular basis unique, or funny, or meaningful? Objects bring about more history than we observe at a first view. Imagine if your grandmother’s favorite ring could speak, what would it say? This photo theme gives you the opportunity to explore either the story of an otherwise banal object or to create a story around it. Man has always been drawn to symbolism, maybe for its mystic powers or for its ability to communicate something at diverse levels of understanding. Shooting symbols and metaphors may be the most challenging photo theme to pursue in your work as they are difficult to capture and can mean different things to different people. But that is the beauty of such project! Photography is all about perception and perspective. What is your inspiration? What draws your attention? What tickles your imagination? Showcasing your muse may be a difficult photography theme to pursue as it reveals more about the one behind the camera than those in front of it, as it normally happens. Even so, these photo theme can let your viewers know more about who you are, and stimulate the creativity of other fellow photographers at the same time. Often mistaken with documentary photography, this engaging photographic niche can be a real challenge. Street photographers capture fleeting moments, as well as harsh realities around us. But that does not mean that your street photographs should showcase only misery, poverty, or disasters. 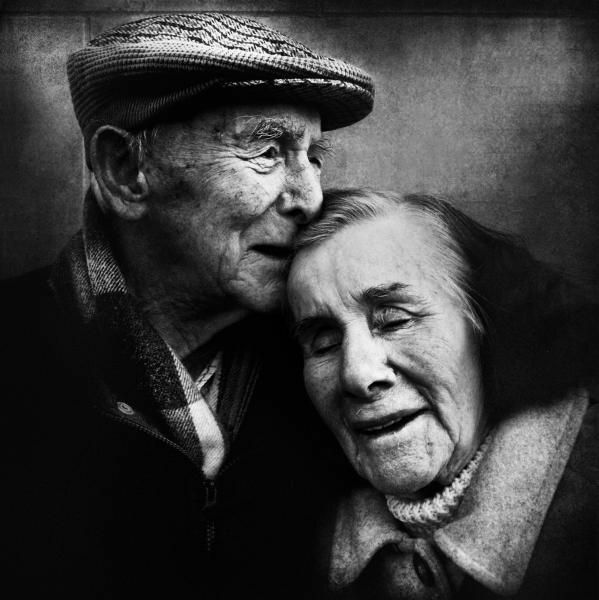 Spontaneous snapshots of a child’s laughter, or senior couples holding hands would make for astounding street photo projects. It’s all about the moment and the emotion you are given the chance to immortalize. If you are passionate about street photography, I recommend taking a look at the projects featured by the Vivo Photography Collective. When was the last time you saw a shoe shiner? Or a newspaper boy? Or a lumberjack? As our society progresses and machines take up humans’ tasks, many professions are slowly disappearing. Consider documenting them through images while you still have the chance. Ghettos have never offered a pleasant sight, yet they offer multiple perspectives on reality. Crowding vast numbers of people into tight spaces may sound as if it’s pulled off a dystopian future, yet it happens everywhere. Unemployment, illiteracy, high crime rate, these are just a few words that are usually used to describe the ghetto. But is that all there is to it? Of course not! No matter where people live, they are driven by the same things: the chance for a better life, family, hope, dreams. Why not get all these aspects on film while venturing into some of the most challenging places around the world? Maybe you will discover another “Heidelberg” place out there, which is an outdoor art project initiated in Detroit to transform a neighborhood where people were afraid to walk into a place where visitors are welcome. As the saying goes, a photograph is worth a thousand words, but we all know how difficult it is to bend photography to our will at times. Even if it contains no spoken or written words, only stunning imagery has the power to capture emotions and tell stories. No matter which of the challenging photography themes you choose to pursue for a project, the secret is to be true to yourself. Nothing will inspire others more than that. Good luck!